Christmas is a magical time of year and if you’re dreaming of spending it in a picture-postcard perfect town that seems to have stepped out of the pages of a children’s storybook, these destinations offer the chance for one of the most unforgettable holidays of a lifetime. Vienna is often called the magical Christmas town and home of Christmas markets in Europe. Many tourists and couples seeking romantic holiday travel to Vienna every Christmas. Often these trips include high-quality dinners, concerts and of course walks around the traditional Christmas markets. There is a lot of people, but it doesn’t stop the city having village-like homely atmosphere. You can find colorful lights, beautiful decorations, and several Christmas markets all around the city. We recommend walking around after dark because the town lights up beautifully and allow you to enjoy the magical atmosphere. The Wiener Christkindlmarkt am Rathausplatz is the most popular market in the city and you shouldn’t skip it for any reason. It’s small village inside of Vienna. Walking between small wooden huts, traditional crafts and delicious smells will take you to Christmas wonderland. You can also try ice skating in their ice rinks or play in Christmas themed kids’ floor in City Hall. However, there is many Christmas markets around Vienna. The most popular ones have expensive basic products while you can find something unique from the smaller local Christmas markets. Test both types of markets to get the full Christmas village travel experience. Prague gives Christmas a traditional eastern European vibe. 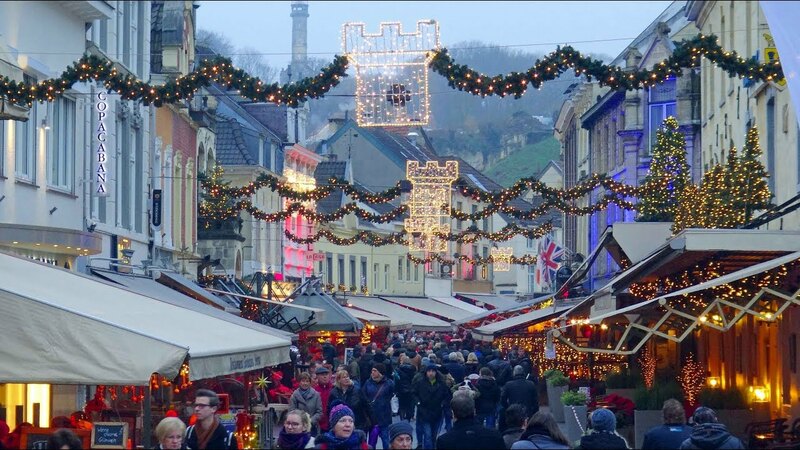 The Christmas markets offers hot drinks, colorful lights and wonderful decorations. There are several Christmas markets around the city, but the Old Town Square’s market is the biggest and most popular one. We recommend visiting several different markets to experience the whole Prague Christmas town atmosphere. Travel to Czech Republic if you still have some gift shopping to do because they offer everything you would need for Christmas presents. Magical Christmas isn’t just for humans and that’s why one of the most popular things to see in Prague is the stable at Old Town Square. You can pet some sheep, donkeys and other animals. Kids love this but even adults will get all warm-hearted after seeing the animals. Valkenburg is a village of 17000 citizens in Netherlands and a popular destination amongst holiday tourists. It has one of the oldest indoor Christmas markets in Europe. Walk around the large labyrinth-like markets full of products, gift ideas and delicious food. If you wander long enough in the caves, you may even find Santa Claus with his reindeers. Check out the local products and traditional Christmas foods every traveler should taste in Netherlands. You have to pay an entrance fee to access these underground Christmas markets but you will get a lot more than just shopping opportunities. They will tell you about the caves and there are many statues of Santa and his friends. Huge Christmas markets are often seen more as middle European thing but that is not the case. The northern parts of Europe have at least as many charming small villages full of Christmas atmosphere. 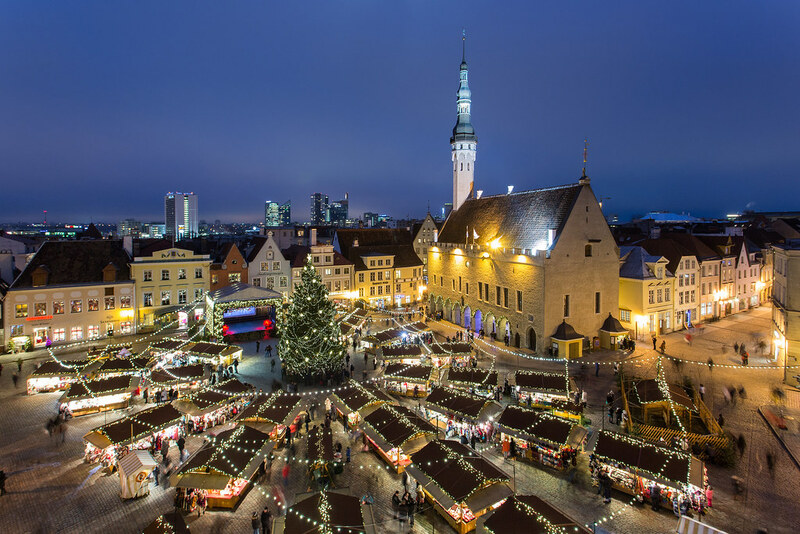 Although being the largest city of Estonia, Tallinn also has many Christmas markets and due to its northern location, Tallinn gets more snow than most of the cities with markets mentioned above. And even when there is no snow, the colorful buildings of the old town make sure that everyone has a good time. Like any other Christmas market, Tallinn has small wooden stalls, music, colorful lights, and beautiful decorations. It’s just not only the market areas but whole Old Town is light up to fit the atmosphere of a Christmas village. The most important part of Tallinn’s Christmas is the Christmas tree standing on the Town Hall Square. There are events every evening and if you want to have more of the Christmas spirit, you can visit The Estonia Open Air Museum, which offers special Christmas programs with events, crafts, traditional foods, and a lot more. 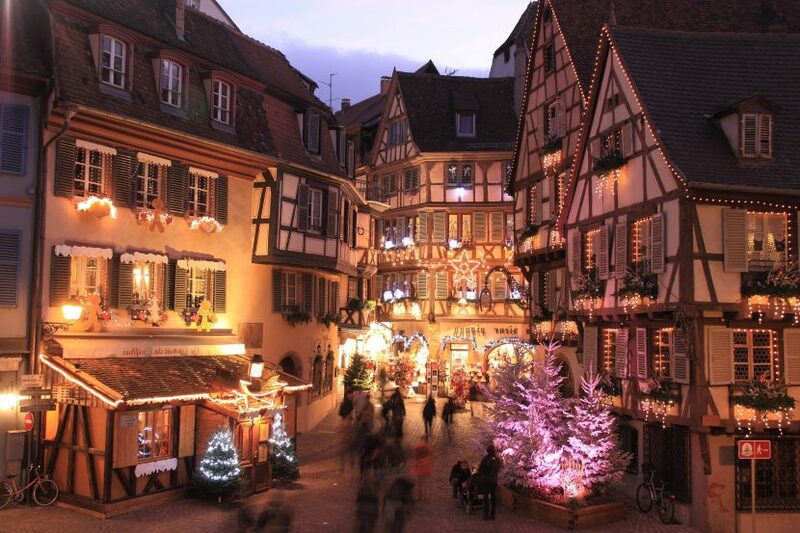 The city of Strasbourg calls itself the capital of Christmas. Traveling there proves their point quickly as you can truly experience the Christmas vibe, colorful lights and happy locals. Around the town you can find differently themed markets that take you to the wonderland of Christmas. There are concerts, events and other activities through November and December. Everyone from kids to couples will find something to enjoy. Strasbourg’s Christmas has about 300 sellers and so it’s one of the biggest in Europe. It also happens to be one of the oldest markets. Christkindelmärik market has been held since 1570 and it has long traditions. You can admire local craftsmen creating amazing artefacts. There are also specialized markets for charities and food. The OFF Market is an alternative choice for those wanting something different. In addition, there is several other themed markets.